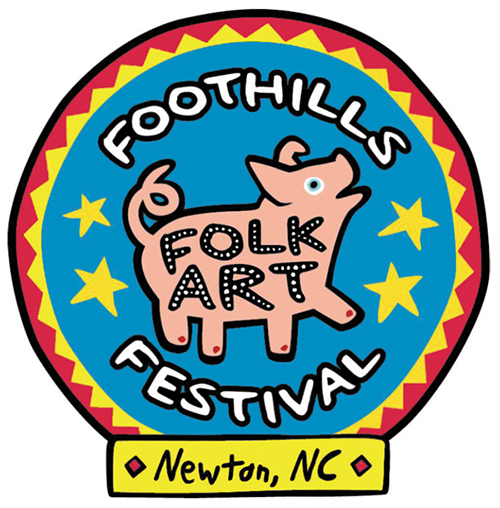 Newton, NC – The Foothills Folk Art Festival is now accepting artist applications for the juried festival, which will be held in Downtown Newton on Saturday, Oct. 5. The award-winning festival is a partnership between Downtown Newton Development Association (DNDA) and Hickory Museum of Art (HMA). 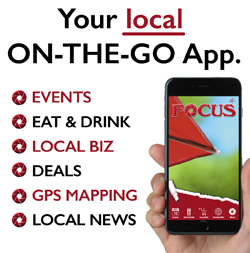 Festival hours will be 10 a.m. to 4 p.m. The Foothills Folk Art Festival is a juried, folk-art themed show. The festival was recognized as Special Event of the Year by the N.C. Main Street & Rural Planning Center and as Hickory Daily Record’s Festival of the Year for Catawba County in 2018. All applicants are submitted to the jurying process, regardless of whether they have participated in previous years. The Foothills Folk Art Festival Artist Committee is looking for artwork that is intensely influenced by and displaying the spirit of folk, visionary, and outsider art. To be considered, artists must submit an application form, which may be downloaded from the festival website at www.foothillsfolkartfestival.com/artist-information. The application must be accompanied by three to five images of individual pieces of the artist’s work. These images should represent the type of art that the artist plans to sell at the festival and should be submitted as high-resolution digital images if possible. Artists are also encouraged to submit a photo of their booth if possible. These images will be used to select the artists for the festival and to promote the festival, so high-quality images are encouraged. If hard-copy images are submitted, artists should use photo paper or images printed by a commercial photo lab. A registration fee must accompany the application, but the fee will be returned if the artist is not accepted. 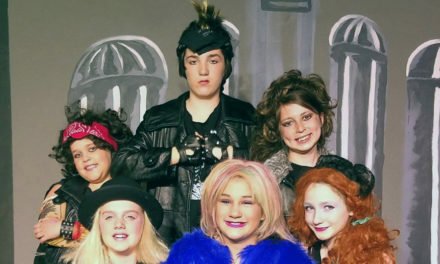 The early registration fee will be $50 and will apply to any applications postmarked by June 1, 2019. The regular registration fee will be $75 and will apply to applications that are postmarked by Sept. 1, 2019. Applications should be mailed to Hickory Museum of Art, Attn: Clarissa Starnes, 243 Third Ave. NE, Hickory, NC 28601. Applications may also be emailed to cstarnes@hickorymuseumofart.org. Please make checks payable to Foothills Folk Art Festival. No applications will be accepted via the festival Facebook page. The Foothills Folk Art Festival’s roots date back to 2005, when HMA first acquired 153 folk art objects from Barry and Allen Huffman of Hickory. Since acquiring the Huffman collection, HMA has showcased contemporary Southern folk art through a variety of exhibits, public programs and special events. The museum also has an ongoing and changing exhibition of folk art, Discover Folk Art: Unique Visions by Southern Self-Taught Artists, located on the third floor. The museum, located at 243 3rd Ave. NE, Hickory, is open Tuesday through Sunday, and admission is free. Shoppers can also purchase unique folk art in the museum’s gift shop. Festival volunteer committees are now being formed to organize everything from parking and signs to children’s art and food. To volunteer, contact Shannon Johnson, Newton Main Street Program manager, at 828-695-4360 or sjohnson@newtonnc.gov. Festival sponsorship opportunities allow DNDA and HMA to raise funds to provide services within their respective missions. Sponsors enjoy a variety of benefits at a range of sponsorship levels. If you are interested in sponsoring the festival, please visit www.foothillsfolkartfestival.com/sponsor-opportunities. For the latest news about the festival, like its Facebook page at www.facebook.com/foothillsfolkartfestival or go to the festival website at www.foothillsfolkartfestival.com. The public is also encouraged to follow the festival on Twitter @folkartfest.